The Alpha Delta Chi house is our home away from home! 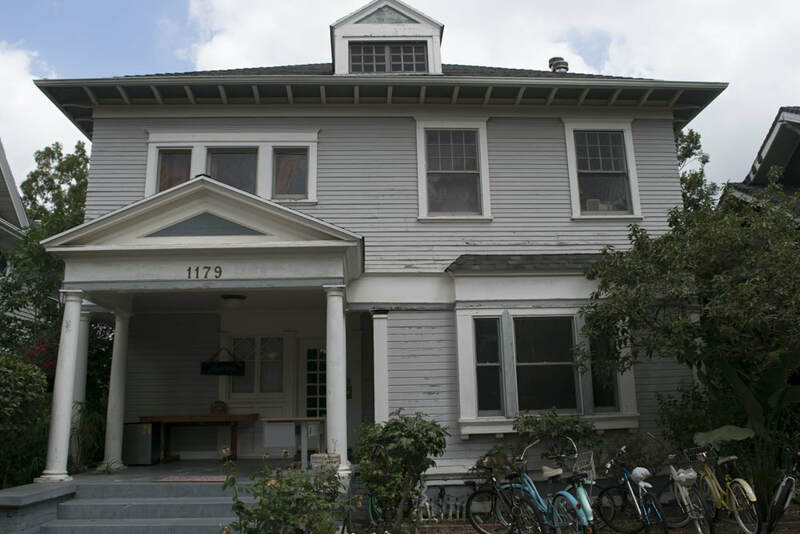 Each member is required to live in the house for part of her time enrolled at USC. Our house is home to around 20 girls and includes singles, doubles, and triples. Rooms come completely furnished; however, girls can provide their own furniture if desired. Anyone is welcome to hang out in the living room areas, where we have a flat screen TV, board games, and comfy couches. We are located about two blocks north of the USC Village, and are very close to great restaurants, retail and recreation. The new USC Village that has a Trader Joe's, Target, several restaurants, a bike shop, and a brand-new fitness center open to USC students. Our house is conveniently close enough to walk or bike to campus.